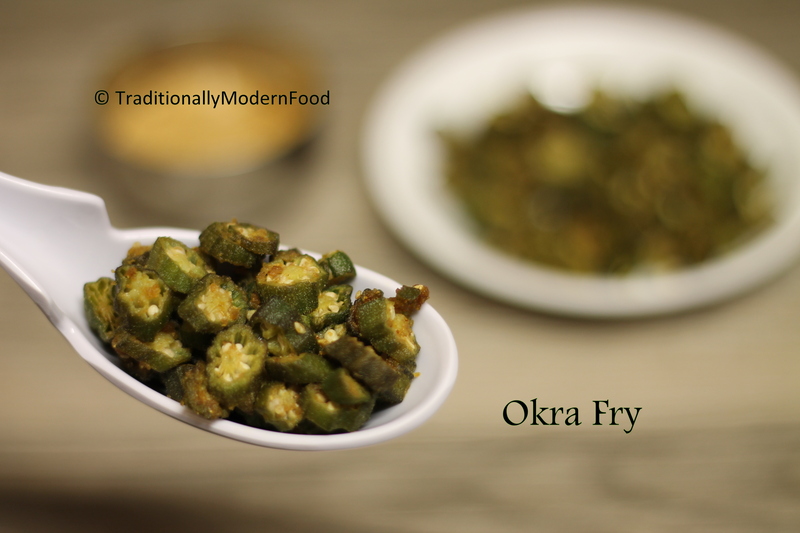 Okra is a family fav!! Love the microwave version!! Seems so easy to do in microwave! Does it work the same way if I cut it a little bigger, like about 1/3 of our finger? Or may be should keep it for a little longer? 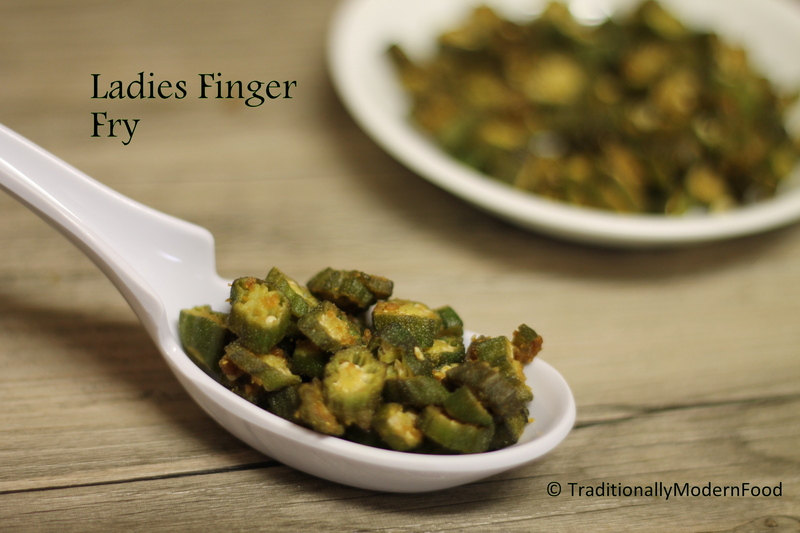 I love okra and had no idea it was called ladies finger too. Great recipe! it seems to be good way to tackle down mushy proble ,i have to try it now ,thnx! 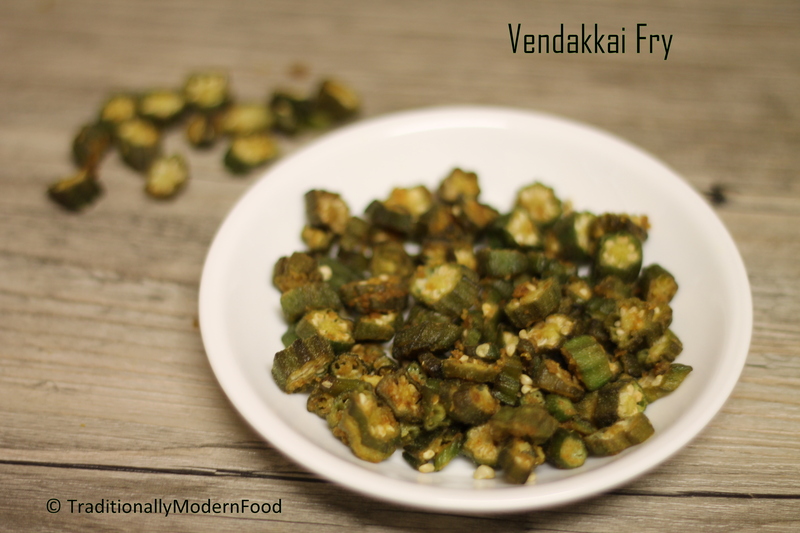 Simple delicious okra fry! That microwave comes in very handy at times, neatly made Vidya! Well explained and a thoughtful notes section ! Ladies finger fry in microwave? That sounds interesting V… looks delish …. I would never think to microwave bhindi – what a nice quick way to cook it! That is a modern twist on cooking Lady’s finger. Simple and tasty. Nothing better than Bhindi Fry and curd rice. Good one. I usually go for conventional oven method. Sounds delicious. I love okra and my mom used to make it all the time. It’s has such an unique flavor and texture. Interesting they turn out so well in the microwave. Thats okra right, are lady fingers the same? My Mother always dredged in cornmeal and fried it. I think thats a real Southern way of enjoying them. Your microwave methodis simple and quick and looks delicious.